The same hotel, the same room – and in the middle of the room a stunning white grand piano by Steinway & Sons. 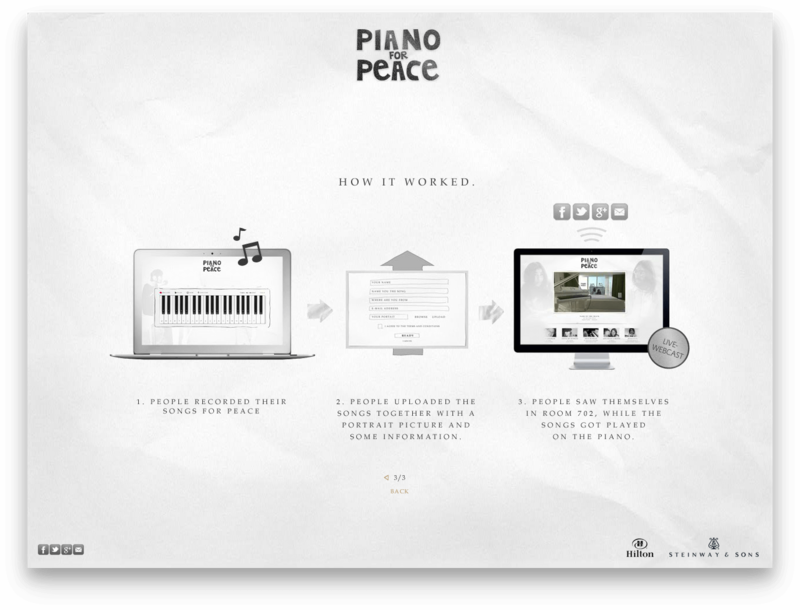 With their computer keys, users played songs via a virtual piano on a microsite developed by ovos. 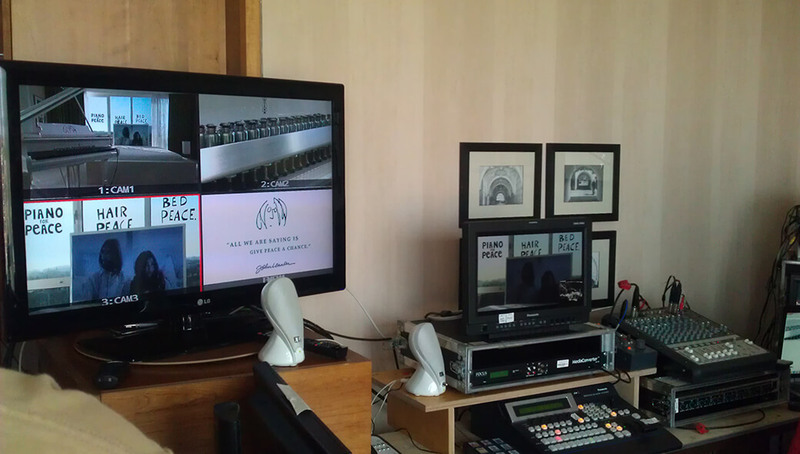 The campaign was awarded with a Cannes Silver Lion and more. 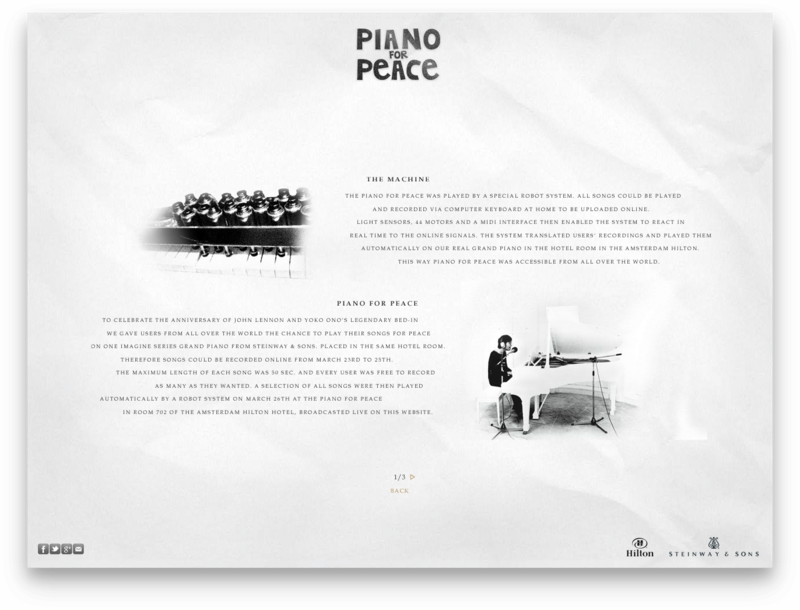 Together with Steinway & Sons and the Hilton Amsterdam, DDB Tribal and ovos lit a musical beacon of peace. 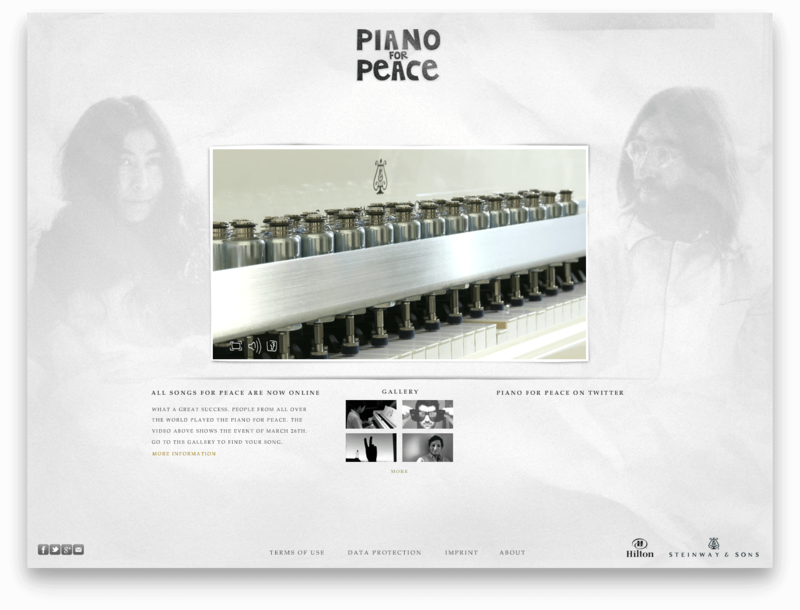 On March 26, 2012, a live stream of the “Piano for Peace” campaign recalled the legendary bed-in by John Lennon and Yoko Ono in the Hilton Hotel in Amsterdam. 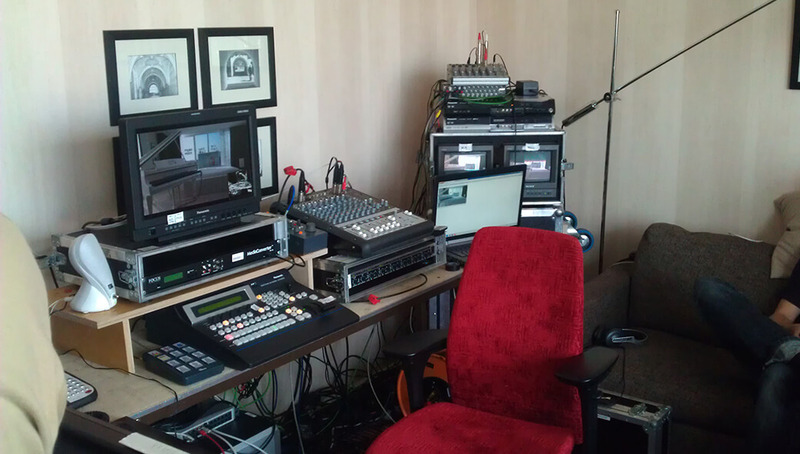 The microsite linked the event with the online community. From March 23-25, users could play their songs via a virtual piano on the microsite and optionally save a picture of themselves. 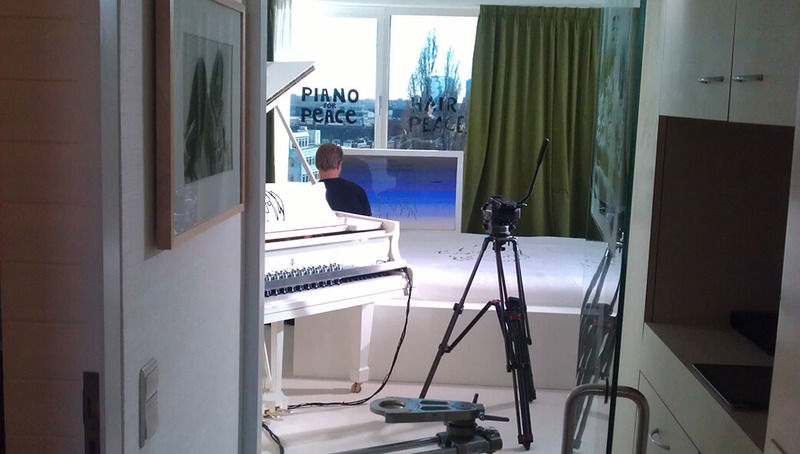 On March 26, the anniversary of the bed-in, the pieces were played on the Imagine Series Limited Edition from Steinway & Sons (valued at €90,000) using computer assistance. 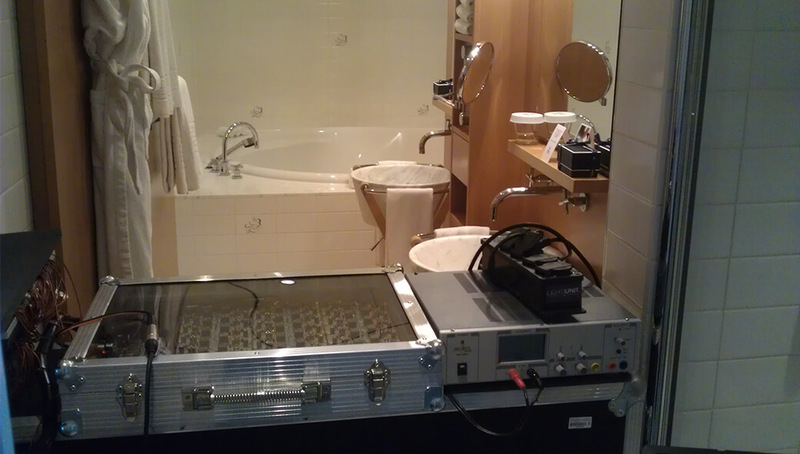 At the same time, a picture of the respective user appeared on a monitor over the bed, which was also visible in the live stream. The individual songs were saved during the live stream and are now available on the microsite. 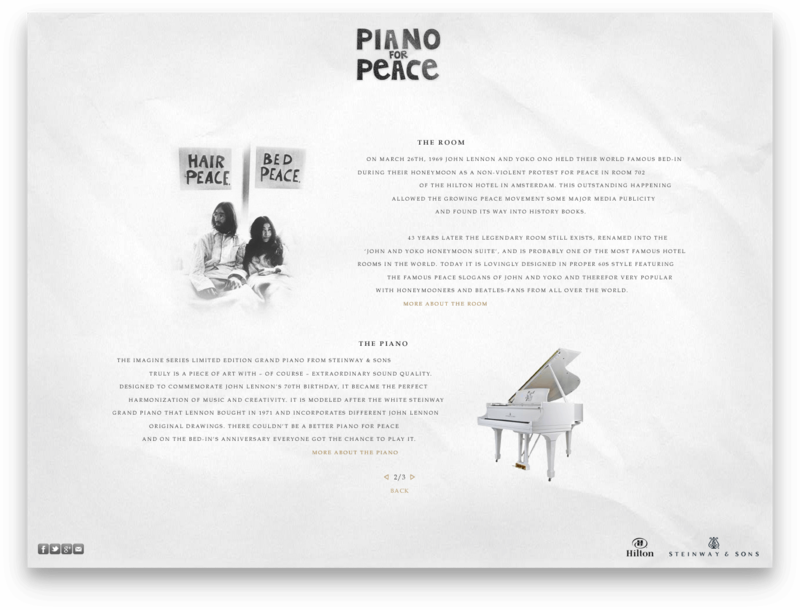 With ‘Piano for Peace’ we commemorate the yet unattained goal, which John Lennon and Yoko Ono pursued in their authentic and unique way: peace in the world. We will not be able to achieve it either, but with the help of modern technical facilities and the enthusiasm of the people on the social web, we have the chance to take a symbolic stand. Transported by the only universal language of mankind — music.